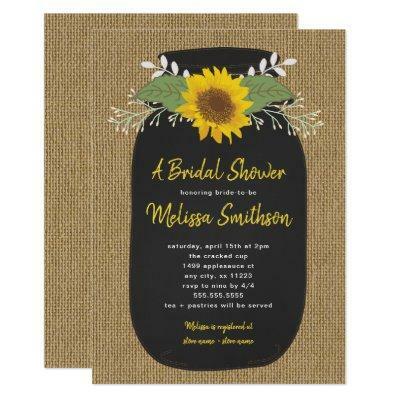 Chalk mason jar with sunflowers and a burlap background bridal shower invitation. Matching items available. Please contact the designer to request matching items.